Warning: Spoilers for Dredd (2012), Prisoners (2013), RoboCop (2014), and Veronica Mars (2014) throughout. "I Am [Before] The Law"
In "Before the Law", Franz Kafka writes about a man from the country seeking entry to the law. The gatekeeper denies him entry, but explains that he may be able to enter some time in the future. So the man waits. At the end of his life, he asks the gatekeeper why, in all his time waiting, no one else has come. The gatekeeper responds, "Here no one else can gain entry, since this entrance was assigned only to you. I’m going now to close it." In doing so, the gatekeeper indicates the fallacy of the man from the country: he assumed that there was only one point of access to the law, that the law was an objective institution, when instead the nature of his individuality and subjectivity were always taken into account from the beginning. It is not a building we can enter and exit as we wish but something more ethereal, and our actions and our politics are constantly in the process of reshaping it. The lesson to be taken from Kafka's parable is that justice and the law do not coexist separately from our participation, that our subjectivity is a crucial ingredient in the functioning and power of the law. The law never exists without its subjective dimension. In contemporary American ideology (embodied in modern Hollywood cinema), this lesson takes on an additional layer. It is not impossible to gain access to the law in its objective dimension, it is merely that this process robs the subject of their subjectivity, of what makes them human. We may access the law, but by doing so we are robbed of our subjectivity and the law is likewise robbed of its connection to justice. Law and justice are no longer inextricably interconnected, and we are forced to search for solutions outside the state; but these can be just as problematic. The common solution of vigilantism arises from a false heroism which tragically reproduces the same conditions of injustice it was meant to alleviate. So how do we resolve this deadlock? 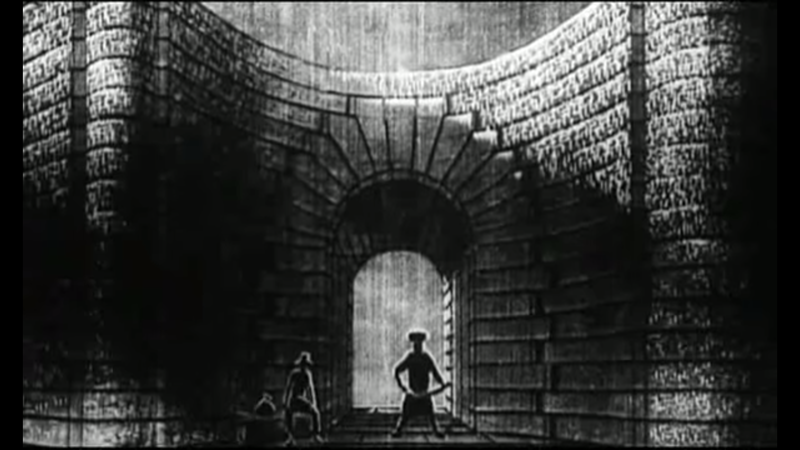 The following recent films visualize this concept of someone who has gone through the gate of the law (as the man from the country never could) in order to explore what they find on the other side. These fictional representations allow us insight into popular perceptions of both the law and vigilantism and their problematic relationship with justice and violence. Specifically, they show us how these relationships are bound up in the law's constitutive split between its subjective and objective dimensions. 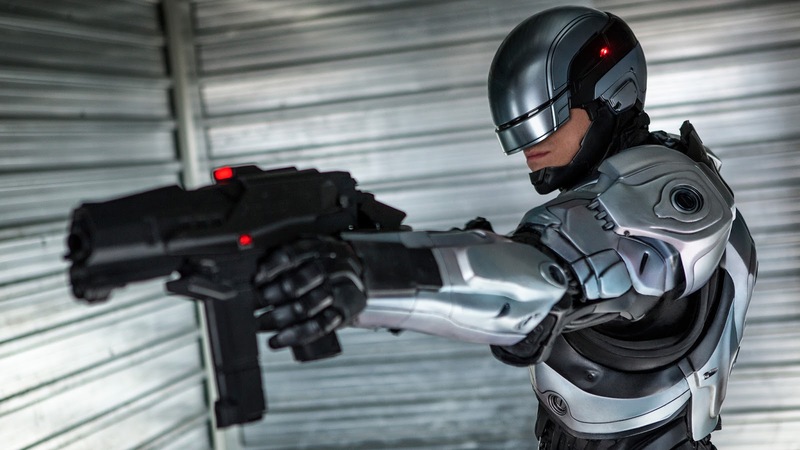 Jose Padilha's 2014 remake of Paul Verhoeven's RoboCop plays out precisely this distinction between the objective and subjective embodiments of the law. When Detroit police officer Alex Murphy is mortally wounded, what's left of his body is placed into a controversial new program of robotic law enforcement run by the evil OmniCorp corporation. His brain and essential organs are encased in a robotic exoskeleton after being repaired and augmented, and while he still processes information normally, his new cybernetic body provides a potential outlet for OmniCorp's intrusion into his body. Left alone he is still Alex Murphy, but he is constantly at the mercy of his corporate masters. He is defined by the conflict between the subject (humanity, justice) and the object (corporate robotics, the law). The conflict at the heart of RoboCop lies between Alex Murphy's human, moral judgment and his robotic, unsympathetic exoskeleton. He is both the subjective and objective sides of the law, and together they vie for dominance within his body. The public perception of Murphy/RoboCop also reproduces the distinction between justice and the law. The public wants the city to be safe, but they worry that the robotic police enforcers' lack of a conscience will make the effort self-defeating. They want (subjective) justice, but they fear the law (in its objective, inhuman aspects). In turn, OmniCorp understands this and attempts to create a compromise which will contain the human elements the masses desire without losing the efficiency of the robots. OmniCorp wants to administer the law without having to worry too much about serving justice. Initially, Murphy is driven by his desire for revenge against those who attacked him and by his desire to protect his family. His motivations are decidedly subjective. 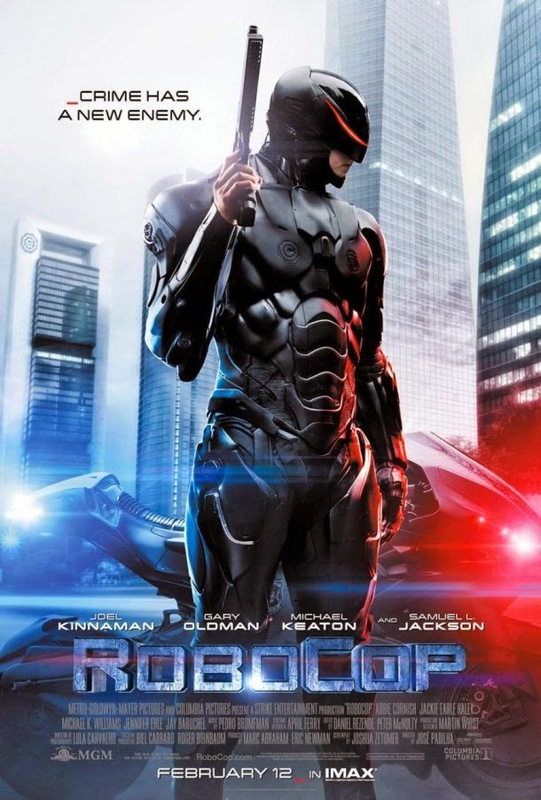 Halfway through the film, however, OmniCorp attempts to upload the Detroit police database into Murphy/RoboCop's brain, and the experience is too much for his human half. OmniCorp is forced to use drugs which artificially suppress Murphy's emotional response to the point where he no longer recognizes his wife or son (suppress his humanity). The database constructs around him a world in which he sees evil everywhere, and what follows is a series of successful but inhuman and unjust arrests. This is precisely the split between the subjective access to justice through the law and the objective ideal of law which excludes justice. Without Murphy's humanity, the law becomes violent. The law can exist outside our subjective participation in it, but without us it becomes unjust. RoboCop also suggests an alignment between the law and its criminal transgression, with cops working alongside criminals. In Murphy's pursuit of the crime boss Antoine Vallon, he discovers that the arms dealer is working with the assistance of two police officers who have been supplying him with weapons taken from evidence. As he continues to investigate the case, it leads him all the way up the chain of command to the chief of police. At this level of corruption, the distinction between officer and criminal begins to fade as the moral high ground of the law begins to fall away. However, working within the confines of a PG-13 rating and under the conservative gaze of a big studio, Padilha didn't have the freedom to push this critique as far as he wanted. But despite this handicap, he does enough to succeed in laying the groundwork for a parallel between the law and the crime it purports to fight. This thesis reaches its conclusion in Pete Travis's 2012 film Dredd, which explores another character with a similar relationship with the law. In a dystopian future, Mega-City One is in chaos under the rule of the Judges. A particularly fearsome Judge named Dredd is tasked with taking a new recruit out into the field for testing. The two find themselves in the Peach Trees building, an apartment complex overrun with crime. The complex is ruled by the ruthlessly violent Ma-Ma and her clan who use it to produce and distribute the narcotic Slo-Mo. When the Judges show up to investigate a triple homicide, Ma-Ma locks down the building, sealing the Judges inside. The clash between her clan and the Judges quickly turns into a gruesome fight to the death where it's not clear if either party will come out alive. "Inhabitants of Peach Trees, this is Judge Dredd. In case you people have forgotten, this block operates under the same rules as the rest of the city. Ma-Ma is not the law, I am the law. Ma-Ma is a common criminal, guilty of murder, guilty of the manufacture and distribution of the narcotic known as Slo-Mo, and as of now under sentence of death. Any who obstruct me in carrying out my duty will be treated as an accessory to her crimes. You have been warned. And as for you, Ma-Ma: judgment time." 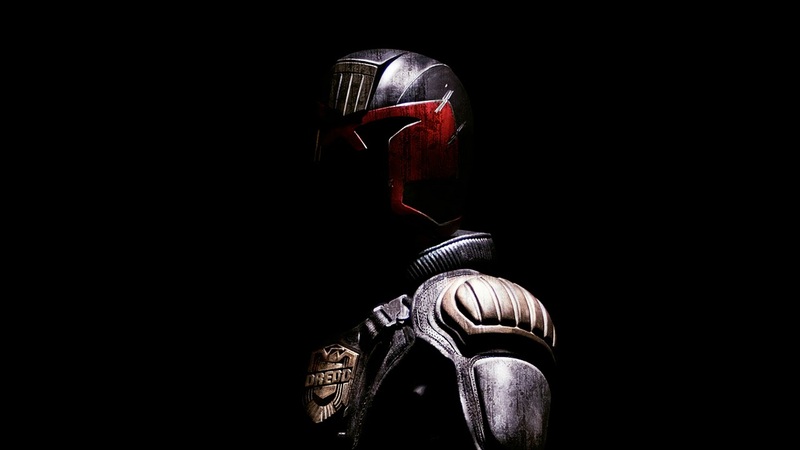 Dredd's famous line "I am the law" takes on a double meaning in relation to Kafka's "Before the Law". The intended meaning of his statement appears to be an assertion that he has more authority than Ma-Ma, a status which is confirmed in the opening voice-over (explaining that each Judge is also "jury and executioner," unilaterally wielding the full force of the law). However, in the context of Kafka's parable, it takes on a new meaning: that Dredd's subjectivity has been vacated and replaced by the objectivity law. This is verified in an early scene where the new recruit attempts to use her psychic abilities to read his mind, but stops before she reaches beneath the surface. There's nothing there. His identity has been wiped. 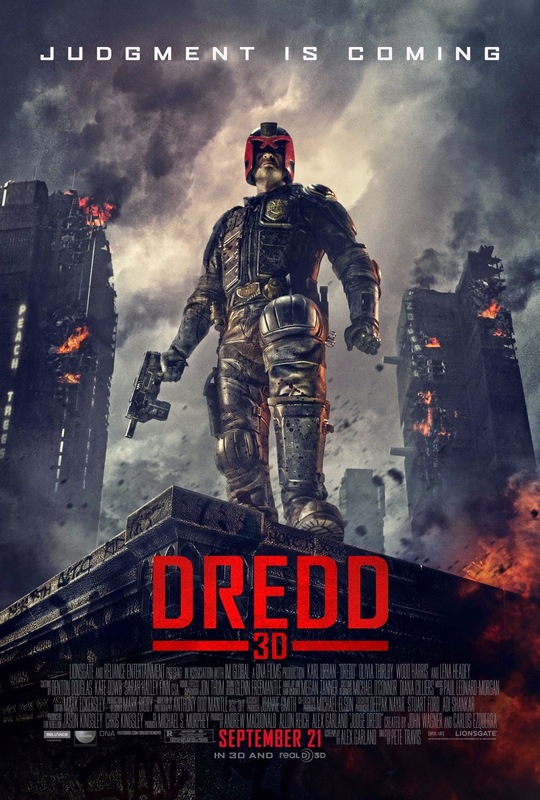 Throughout the film, Dredd's mysterious past is never revealed, and his character is never given any introspection. He passed through the gate of the law and came out the other side reincarnated as a physical embodiment of it. He quite literally is the law. "There is the elementary matrix of the Hegelian dialectical process here: the external opposition (between law and its criminal transgression) is transformed into the opposition, internal to the transgression itself, between particular transgressions and the absolute transgression which appears as its opposite, as the universal law. And mutatis mutandis, the same goes for violence: when we perceive something as an act of violence, we measure it by a presupposed standard of what the 'normal' non-violent situation is—and the highest form of violence is the imposition of this standard with reference to which some events appear as 'violent.'" Crime is the opposite of law, but the foundation of the law is an essentially criminal act because of the way it imposes itself on the world around it. Thus there are two types of criminal transgression, the particular (e.g. robbing a bank) and the absolute (establishing rule of law), and opposition between these two highlights the problematic nature of the law's benevolent image. As a physical embodiment of the law, Dredd brings to light this fundamental contradictory parallel at the heart of the law. This parallel between the law and its criminal transgression is represented in the relationship between the act of violence which opens the film and calls the attention of the Judges and the act of violence which functions as retribution for that violence. At the beginning of the film, Ma-Ma punishes three of the men in her clan by intoxicating them with Slo-Mo and dropping them from the top of the gigantic Peach Trees building, traumatically elongating their fatal fall. Judge Dredd arrives on the scene to dispense justice, and after fighting his way up the building and finally reaching Ma-Ma, he reenacts this very same act of violence which he intended to punish: he intoxicates Ma-Ma with Slo-Mo and pushes her off the top of the Peach Trees building. This mirrored relationship between Ma-Ma punishing her minions and Dredd punishing Ma-Ma draws a distinct analogy between the law and the crime it is intended to remedy. Not only are Ma-Ma and Dredd similar in the way they solve their problems, they are both in control of regions which, despite their rule, are flourishing with violent crime (the Peach Trees building; Mega-City One). Ma-Ma must kill her own to maintain her dominance; the Judges are "fighting for order in the chaos" while the "citizens [live] in fear of the street." The city is described as the "ruin of the old world" "breaking under its own weight." The Judges may be trying to bring order, but it's not working. As Dredd himself explains, "Twelve serious crimes reported every minute, seventeen thousand per day. We can respond to around six percent." Dredd draws out the identical relationship between the law and its criminal transgression in the identification of the Peach Trees building with Mega-City One. Vacated of its subjective dimension, the law is no different from the crime it fights. Both RoboCop and Dredd depict men who, unlike Kafka's man from the country, have been allowed admittance to the law but found it as morally contentious as the crime kept outside. By entering the gate made only for them, they lost what made them who they were (their subjectivity). But while it may be no secret that objective institutions of the law have their issues, the popular solution of vigilantism (subjective access to justice outside of the law) often runs into the same problems. This idea of an average citizen (a "man from the country") taking the responsibility for upholding justice into his own hands is explored in Denis Villeneuve's dark thriller Prisoners (2013). 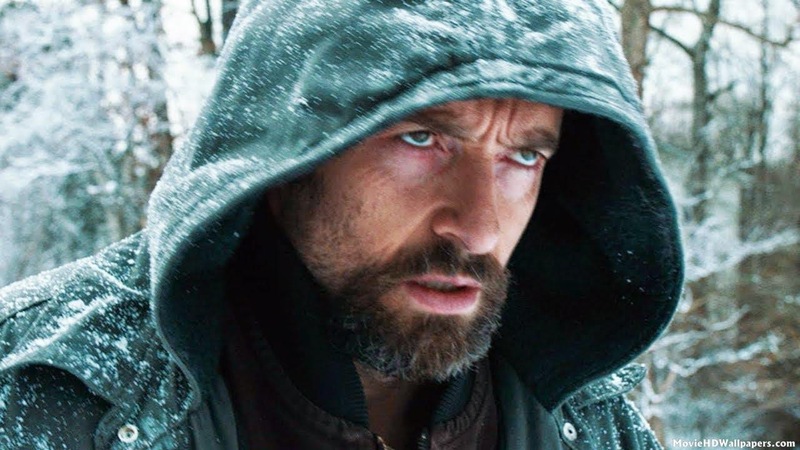 The film tells the story of Keller Dover (Hugh Jackman), a man forced to search for justice outside the gate of the law and pushed to extremes which call into question the ethics of his crusade. When his daughter and her friend are abducted, Dover goes to the police and Detective Loki (Jake Gyllenhaal) takes on the case. 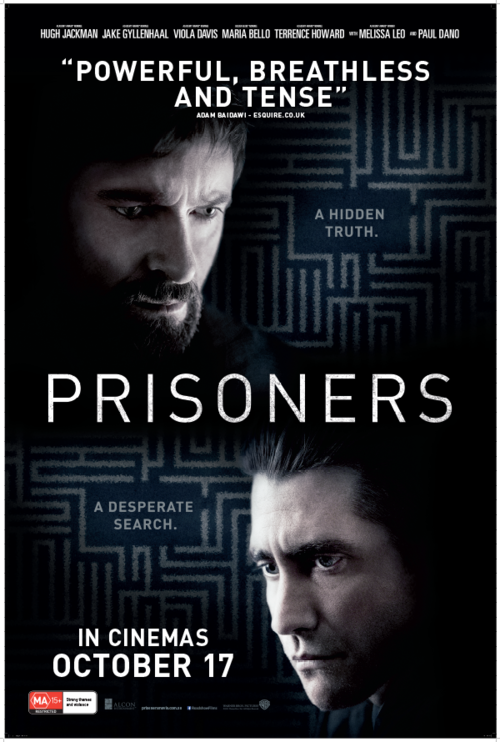 Their investigation brings them to the nearly silent Alex Jones (Paul Dano), who initially seems like a promising lead; but when nothing connecting him to the abduction can be turned up, the police are forced to let him go. Dover is convinced of Jones's guilt, however, and imprisons the boy in an abandoned house where he attempts to torture the truth out of him. Jones says little and never admits anything despite being beaten almost to death. Thanks to Loki's dedication, it turns out that not only is Alex innocent, but in fact he's also another victim of the child abductor Holly Jones (Melissa Leo). With his own children abducted, Dover turns to the law for assistance and finds them lacking. He sees Loki but doesn't see the work he's doing behind the scenes and assumes he's not trying hard enough. After Loki claims that he's doing everything he can, Dover protests, "I don't think you are considering all possibilities." He perceives the law's insufficiency to obtain justice, and in a sense he's right: Loki is forced to release Alex after 48 hours due to police regulations, and the town is full of unsolved crimes, including those involving the murderous priest Father Patrick Dunn (Len Cariou) and the former child abductee Bob Taylor (David Dastmalchian) and even Alex himself (another former child abductee). As in Dredd, Prisoners links the search for justice to the crime which provoked it: Dover's punishment for Alex's supposed abduction is itself an act of abduction. Furthermore, Alex is himself an abducted child—there's a cruel irony in the way that Dover has captured his own daughter by symbolic substitution (he puts Alex in the very situation she is in). So how does he legitimize this treatment to himself? "We hurt him until he talks, or they're going to die." He has mentally constructed himself as a savior, which would be fine if it weren't for his ideological ethics. He has adopted the role of savior outside the gate of the law, and as such he lacks its restrictions. The problem is that, while these restrictions introduce the law's insufficiency, they also prevent it from overreaching its boundaries into the realm of revenge. Dover's place outside the law leaves him with only his personal morality which ultimately drives him past justice and over the edge into the pathological satisfaction of vengeance. RoboCop and Dredd show the limitations of the law's objective nature, but Prisoners shows how that same nature is also necessary to prevent worse evils. Also important to note is Dover's attitude toward his abductee and the world around him. His mantra is "pray for the best, plan for the worst," which in itself betrays an ironic pessimism; but the most problematic of his convictions is that people are naturally evil. He recites the Anglican Lord's Prayer on multiple occasions, which emphasizes "our trespasses," "temptation," and "evil" in opposition to the Father's forgiveness, "power," and "glory." He also listens to preachers on the radio who declare that "trouble and affliction are all we have reason to expect in this world. Man is brought into trouble, not as Man but as Sinful Man who is in transgression; Man born in sin and therefore born in trouble." There are redemptive aspects to these religious views, but they are not what Dover focuses on. He sees those around him as evil by nature, and this perception is itself the source of true evil: as Hegel reminds us, "Evil resides in the very gaze which perceives Evil all around itself." Like the police database which makes RoboCop see crime all around him, true evil is that which cannot look inward to see the evil of the self, but only outward to see the evil of the other. "This is why Hegel rejects the idea of the modern hero. Such a figure fails to see how the private morality that it proffers as an alternative or a supplement to the legal order is already included within that order. As a result of its structural incompatibility, the hero's activity will have the effect of undermining the law even if it is done to supplement the law. ... If the hero adopts the position of the exception as the difficult duty that one must perform for the sake of a greater good... then exceptionality becomes an unlimited end in itself that will never cease to be required." Dover knows he is doing a bad thing, but he still believes that he is doing it for good reasons. He sees himself as the exception to the law (as its savior): he is breaking the law, but he's doing it as the "difficult duty" he must take on for the sake of justice; he's doing it because if he doesn't, "they're going to die." The problem is that this brand of exceptionalism is not externally limited because of the way it's self-perceived as heroic. Any supposedly evil act committed by Dover can be justified under the assumption that he was doing it for his daughter, for the greater good. The parallels between him and Holly—the "real" antagonist who abducted his daughter—are uniquely indicative in this respect. Both of them abduct children under the banner of the greater good. Both believe in their own religiously motivated duty. Both believe in their own heroic exceptionality to the law and use it to justify their own personal, criminal agenda. Holly is different in Dover's mind—she's the enemy—but in reality they're both doing the same thing. They both stand outside the gate of the law, and despite their subjective, personal pursuit of justice, this position enslaved them even more to the law's contradictions. So how do we resolve this dilemma? We find a similar pursuit of justice outside the law in Rob Thomas's Veronica Mars (2014), but here our protagonist finds a solution to the heroic exceptionality which made Keller Dover's position problematic. She achieves the best of both worlds: the justice of subjectivity without its exceptionalism, and the containment of objectivity without its inhumanity. She retains the subjectivized dimension of the law without reproducing the conditions of its necessity. The reason for this is her attitude toward her own activity and toward the law from which she stands apart. She understands that the law is not a sufficient condition for justice, but she also knows that her work outside the law has an element of evil to it. Where Christopher Nolan's The Dark Knight exiled Batman to depict the criminal underpinnings of vigilante justice, here Veronica Mars reveals the pathological and ultimately selfish nature of that criminal foundation. The difference between her and Dover is that she recognizes and accepts this pathological nature rather than displacing it onto a savior complex and making claims of serving the greater good. "Sure it looks like I'm having fun, but even my alkie mom knew how to put on a show to hide her disease. She could PTA with the best of 'em, but her mind was never far from that bit of liquid courage she kept handy. I adore these three people, but there's a case to be solved. There are people in this room with information I want and don't have... and until I get it they are the proverbial flask in my purse." "There is no hero without a mask—and, more specifically, without a mask of evil. As Slavoj Zizek puts it, 'The properly human good, the good elevated above the natural good, the infinite spiritual good, is ultimately the mask of evil.' Without the mask of evil, good cannot emerge and remains stuck in the calculation of interest; without the mask of evil, good remains scheming." Veronica Mars's "mask of evil" is her self-perception as an addict rather than a hero. As with any addict, the source of her enjoyment must remain as pure as possible. Her sole focus is on getting her fix by solving the case, and as a result she (paradoxically) avoids calculation of personal interest. She doesn't need anything other than for the case to be solved. Whereas Dover's perceived heroism allows him to commit amoral acts of violence on the innocent young Alex in the guise of saving his daughter, Veronica Mars has no external justification for her actions. She is driven by the search for truth itself, and by understanding the ambiguous ethics of that search she refrains from taking actions which the limitations of the law might otherwise preclude (like Dover's) without the paradoxically violent grounding of the law (like RoboCop's and Dredd's). She knows even at the end of the film that she cannot enter the law despite her success because this pathological ethical ambiguity has no place there. She remains outside the gate of the law, but manages to achieve justice through the mask of evil embodied in her self-perception as an addict. Kafka's parable of the man before the law introduces the distinction between the law as objective entity and our subjective participation in it, and this distinction is crucial for understanding critiques of state power in an era where police violence is becoming increasingly commonplace. The law is not a bad thing in itself; rather, it is a bad thing by itself, without our participation to humanize and subjectivize it. We get the beginning of this message in RoboCop and Dredd, where we find visions of the law divorced from its humanity, divorced from its subjectivity. The law in this state becomes violent and unjust; but at the same time, taking the law into our own hands and thinking of ourselves as heroes for our mere participation is the wrong attitude. This is where Prisoners comes in: if we see ourselves as saviors the way Keller Dover did, we will only succeed in reproducing the conditions we sought to alleviate. Our search for justice alone does not make us superheroes; instead, this search must come from a place of pure desire. This is the lesson we get from Veronica Mars, where our hero is not a hero but an addict, a junkie hooked on justice. And it is precisely this criminal dimension of her intentions that keep her actions pure. By remaining outside the law she avoids the violence which characterizes its objective embodiments, and by keeping her ego out of the equation she avoids the savior complexes of vigilantism. We are not good simply because we do good deeds. How we see ourselves doing these good deeds is much more important. Simply open an account with AdWorkMedia and add their content locking plug-in.